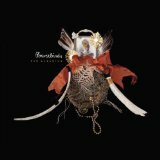 Bowerbirds’ latest release isn’t too different from prior releases like Upper Air or Hymns For A Dark Horse, but is a great compliment to those albums. Overall, the album sounds like many other singer-based indie albums. While that isn’t a bad thing, it doesn’t make it unique. “Tuck the Darkness In” is a fabulous song: light, airy, and featuring a piano and string line. However, the track is easily confused in a world of Cary Brothers and numerous others. The track, however, does feature a stunning rise to a climax around the three-minute mark that make the album. “Walk The Furrows” is a great track on the album as the string lines on the album are really brought to the forefront. Lyrics like “and yes we know there are others/and yes we feel the ground shifting” really frame the stunning strings. The track also features gorgeous strummed guitar lines. The track is recommended for listening just based on how gorgeous it is. Another standout on the album is “Hush,” which starts out sounding like a church hymn before sweet feminine vocals bring the song together. While this album might get lost among many, it album still has enough unique elements to warrant a purchase and listen-through.